The Allied Telesis AT-2711FX PCI-Express delivers the maximum possible Fast Ethernet throughput due to the highly efficient PCI-Express bus architecture. 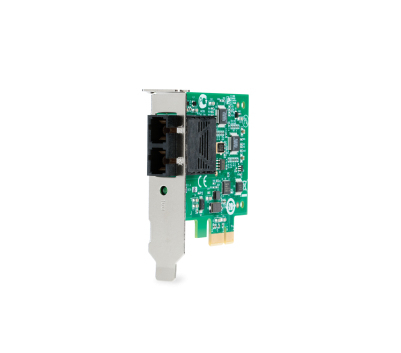 This provides fast networking connectivity even when other cards are installed in your computer. Available in LC, SC, ST, or MT connector types.